I Buried Paul | Food It Yourself! I may have mentioned previously that Mr. Food It Yourself has a problem with high fructose corn syrup. It does not agree with him at all. Back when Mr. Food It Yourself was My Hot Boyfriend he was invited to eat Thanksgiving dinner with my family. We bought a can of really pricey organic cranberry sauce because we could not find a national brand that did not contain HFCS. The next year, my mom remembered she had a cranberry cookbook from 1970-something sitting around the kitchen. She dug out the book and we made a startling discovery. Canned cranberry sauce is a waste of a steel can. 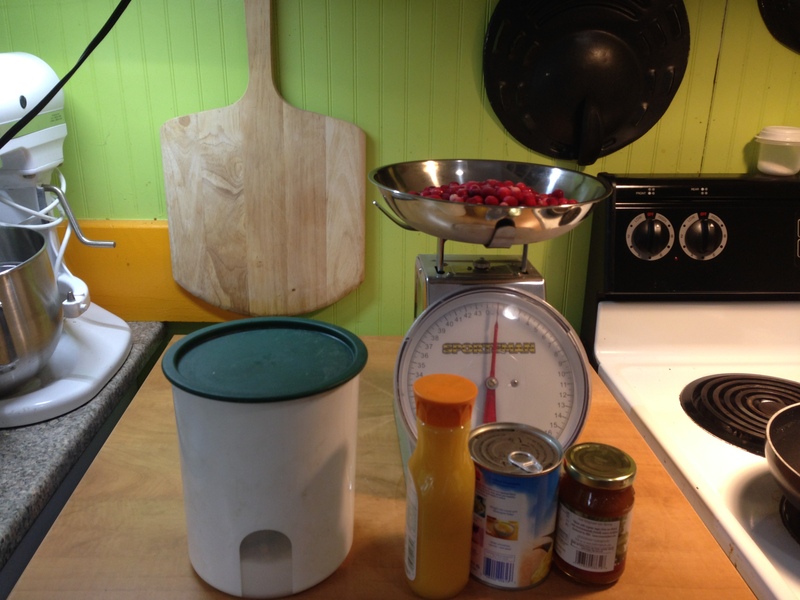 Do you know what you need to make cranberry sauce? 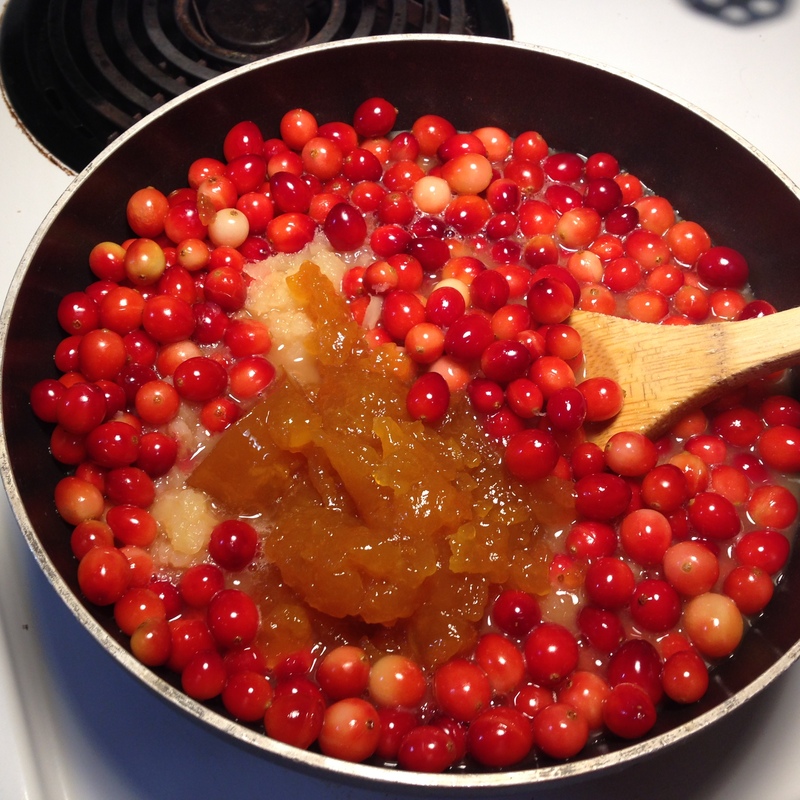 Let that simmer together in a pan until the berries pop and collapse; it takes about half an hour. That is it. 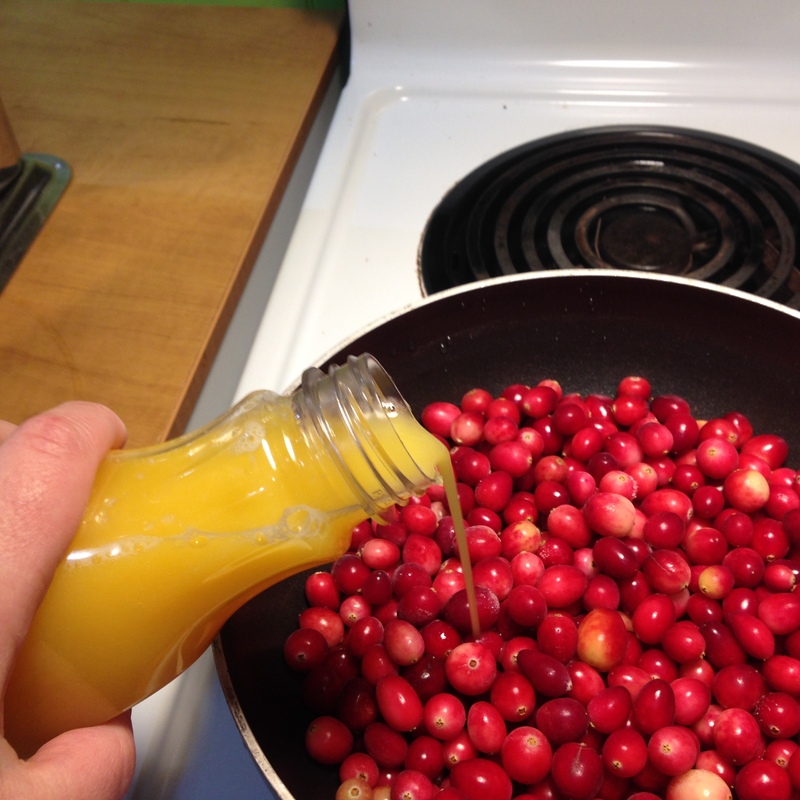 That is how you make cranberry sauce and it is delicious! Since then, we have not bothered with the canned stuff. If you want to be a little fancy, and you type “cranberry sauce recipe” into your favorite search engine you will find recipes with all kinds of additional ingredients- orange juice and zest, walnuts, maple syrup, pear chunks, dried cherries, port wine- the list goes on. This year I could not, for the life of me, find the recipe I’ve been using since Mr. Food It Yourself and I took over hosting Thanksgiving. I remembered the ingredients but not the measurements. I think I got it just about right, and I am archiving it for posterity and for next year, because I love hosting Thanksgiving. Here is everything I need- I think. Most recipes I’ve found call for a 12 ounce bag of fresh cranberries, but I used one pound. Yes, I picked the berries myself. You know how I roll. Instead of water I went with a 12 fluid ounce bottle of orange juice. Apple cider would probably taste good, too. 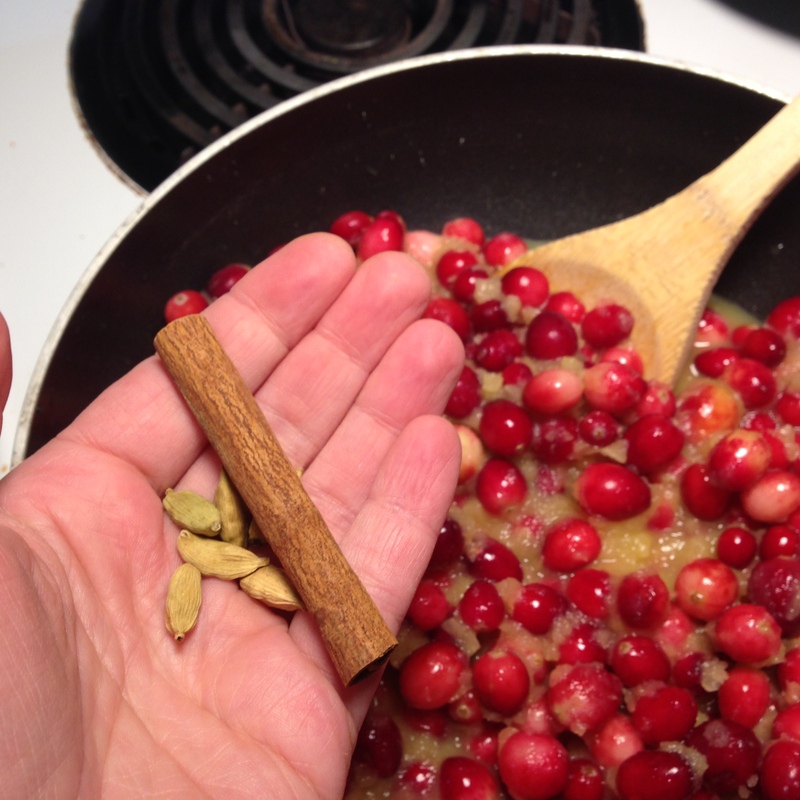 Next, I added one cinnamon stick and six cardamom pods for some subtle spice. I took the seeds out of the pods before I added them, I can pick the cinnamon stick out easily. Those pod husks are a trick though. I drained a can of crushed pineapple. I added about half of the pulp. I’ll eat the rest later. Finally, a six ounce jar of apricot preserves. As you can see, there are plenty of sweet ingredients- pineapple, preserves, orange juice- I held off adding more sugar until this cooked together for a bit. I took a taste after about 30 minutes of simmering. I thought it was perfect, Mr. Food It Yourself felt it needed a little extra dimension and a little more sweetness. I added just one quarter cup of sugar and a half teaspoon of ground ginger. A second round of taste tests determined that the sauce was just right. Ready for a turkey dinner any day of the year. I’m very happy with the outcome. 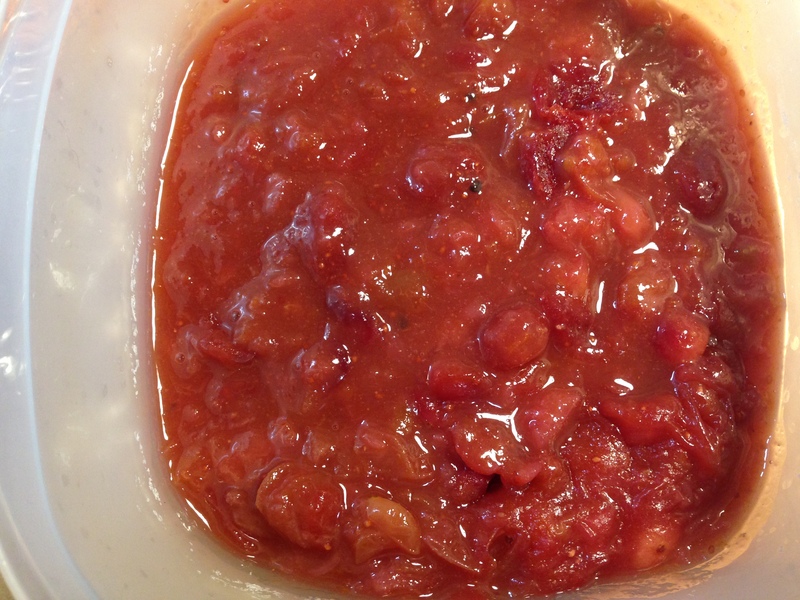 It is not overly sweet and the pectin from the apricot preserve gives the sauce a nice thick consistency when it is cooled. There is nothing wrong with canned cranberry sauce. However, there is a whole lot right with making your own. You can adjust the amount of sugar, play with additional ingredients, and look like a bad@$$ at your festive gathering with very little effort. Give it a try! P.S. : If you don’t get the joke in the title ask someone my mom’s age. They’ll tell you. FIY: That retro-lucious cookbook is available on Amazon. My mom and I still can not believe we ate the canned stuff for so long. It takes so little work to make. Pingback: Thanks, but I’ll Pass | Food It Yourself! 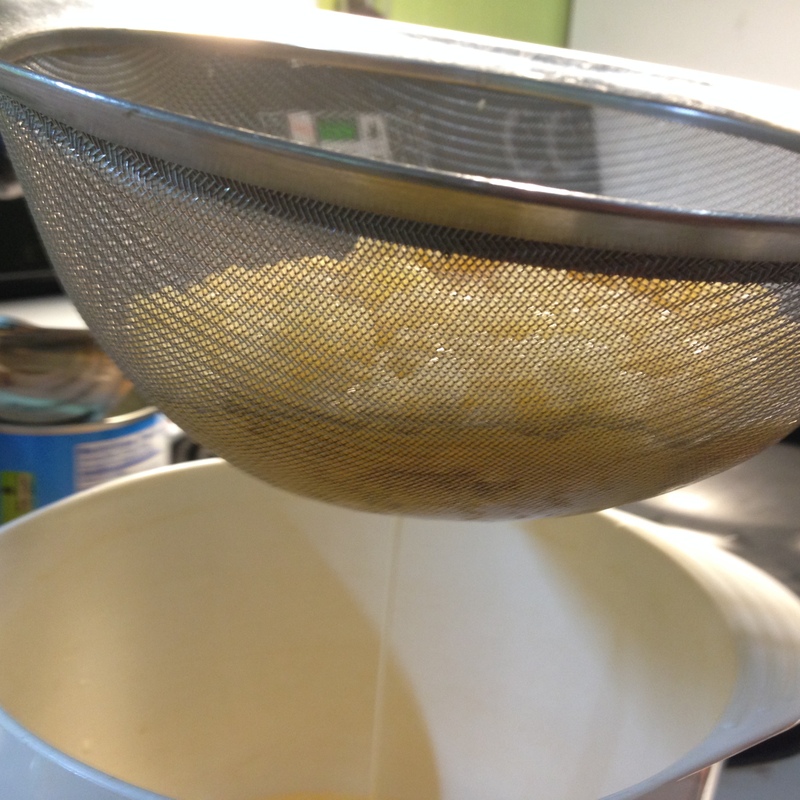 Pingback: Sweets for my Sweetie- Surprisingly Simple | Food It Yourself!